pre eclampsia Archives « Breastfeed.Babywear.ClothDiaper.Naturally! Breastfeed.Babywear.ClothDiaper.Naturally! Looking around, I was terrified. The bright lights of the operating room, my husband in scrubs, so many nurses, and a doctor setting up. 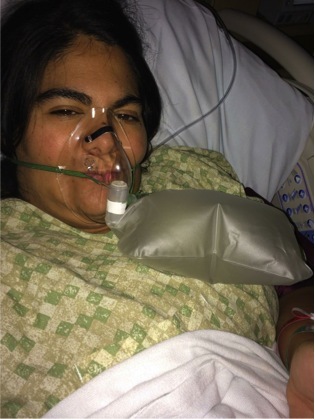 I felt a wave of nausea kick in and the nurse held up a bag to me to be sick in. I had not eaten in 18 hours and was so hopped up on medications that my stomach just could not take it. I remember telling my doctor this was the worst moment of my life–that the baby was going to be awesome but this royally sucked. This was not the birth I had planned or wanted. I dreamed of a peaceful, calm birth filled with joy and happiness. I got a heavily medicated birth to alleviate the eclampsia that was making me sick and harming the baby. Whether it is exactly as you planned or a complete deviation from the plan, birth is something that cannot be controlled too carefully. There are often bumps and twists in the road, unexpected complications and surprises. The most common childbirth complications are pre-eclampsia, postpartum hemorrhaging, abnormal presentation, failure to progess, umbilical cord prolapse, umbilical cord compression, and embolism. These can happen to anyone, of any health, age or social status regardless of fitness level or prenatal care. Often we prepare for baby and pregnancy and prepare for the care of our newborns but no one really prepared for any of the issues with birth. When things do go south, many mamas often feel cheated out of what they feel should have been their experience. These feelings of sadness and regret can lead to aiding in postpartum depression, issues bonding with baby and general melancholy about the whole thing. But occasionally interventions are necessary both for mama or baby, and in my case they were life saving. What I found in dealing with the aftermath of my birth experience this time around was that I needed time to mourn. Mourn that my dream of natural birth was not to be, accept that my body would heal and the pain and swelling would leave me. Talk to the professionals who deal with postpartum periods, with loss, with difficulties and understand that while every hour of this time might feel like an eternity, every day in the NICU or ICU spent worrying about whether baby or you will be ok, every second of pain and confusion is merely a short time in your life. This too shall pass. Sometimes as mothers we wish we could control everything, but coming to terms with our experiences gives us peace and allows us to focus on what is truly important: a sweet healthy baby, a growing family, and the love that comes with it all. Pia Watzig is a stay at home mama of three small boys ages five, two and seven weeks. She lives in constant chaos of trains, legos and laundry in Portland, Oregon. I LOVED looking through all these beautiful bellies and I hope you do too! 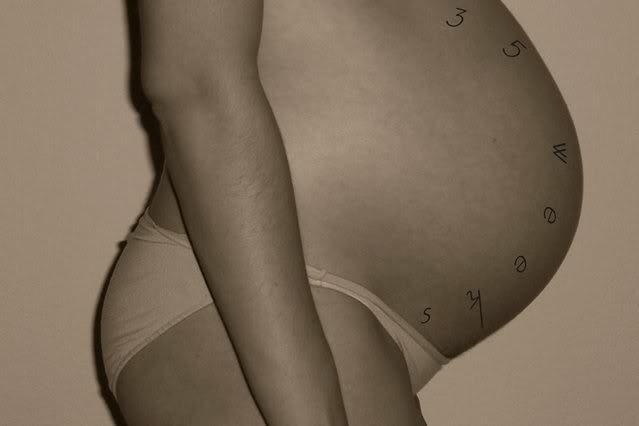 Here’s Joy at 36 weeks with Baby #3. Here’s that lovely bump again getting a smooch from Big Sister Sage (5) and Big Brother Thomas (3). 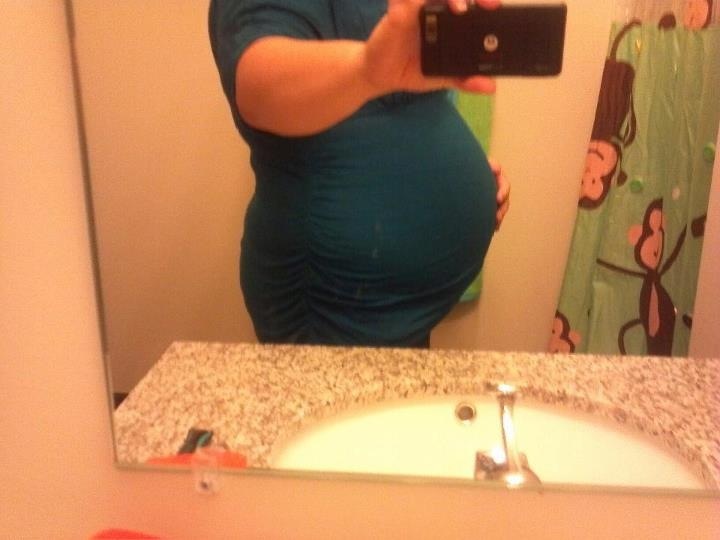 Here’s a cute bump from Mama Ashlee’s perspective…what a great shot! Love the belly freckles too! 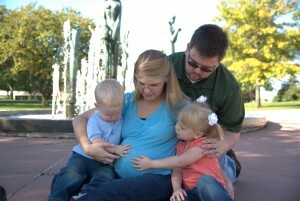 Meet Kendra and her family of FIVE! That baby is getting some hands-on lovin’ from the whole family. 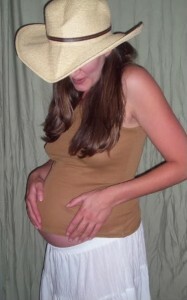 Here’s what Mama Jolene shared about this next photo: “Here I am w miracle number 3 at 27 weeks 3 days. 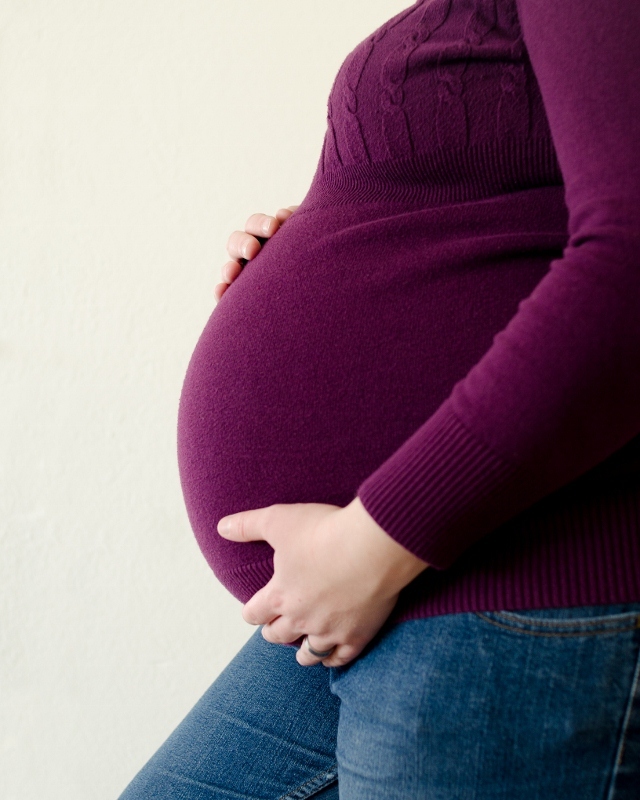 I had severe Pre-eclampsia and signs of HELLP syndrome early on. At 23 weeks 1 day they insisted I deliver. As you see here I refused and kept my healthy happy baby growing inside to 36 weeks. I surprised and confused every Dr who heard of my case. I also had Gestational Diabetes and started insulin this very day. I gave birth to a healthy baby girl at 36 weeks weighing 7lbs 8oz and 19 inches long. She’s now a happy 7 month old Princess weighing in at 16lbs 2oz and 25.2 inches long. We bet all the odds!” What a fantastic story Jolene…thanks for sharing! This is Mama Copper’s Christmas photo from last year…too cute!! 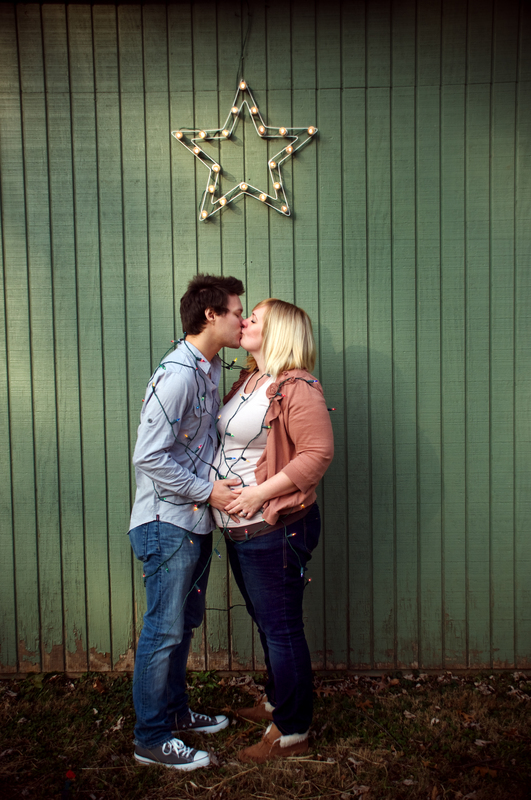 She said being pregnant was a magical time in her life that she really loved. 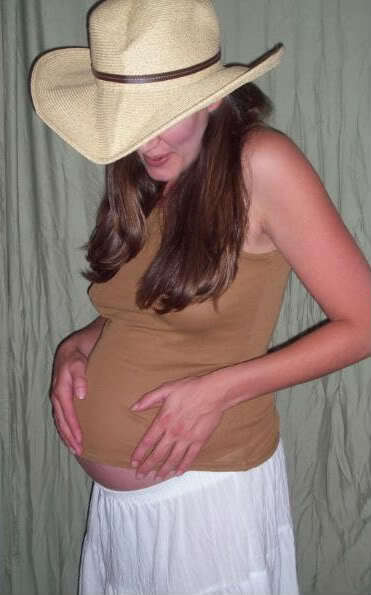 Yep, you definitely look like you embraced your beautiful bump! 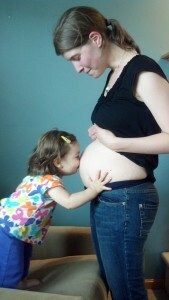 Here is Felicia’s favorite belly shot with baby getting some TLC from big sister! 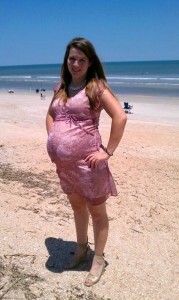 Here is Melissa only TWO days before she had baby Peyton who is now 10 weeks old. Congrats Melissa and weclome baby Peyton! See that tan hand on this mama’s belly…that is MY hand. This was the very first time I felt my little nephew kick. Such a sweet memory and so glad my little sister took this photo. And another from later that same day…I love this picture for so many reasons! 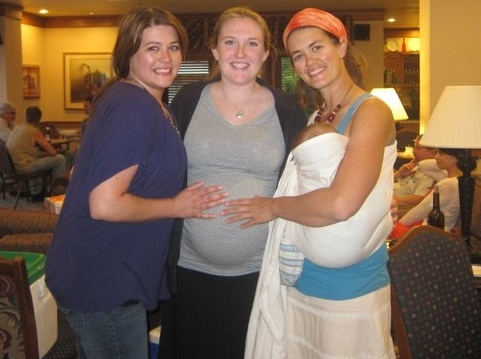 My sisters, my newphew in utero, and baby Izzy in the sling kind of mimicking a little baby bump…all good stuff! 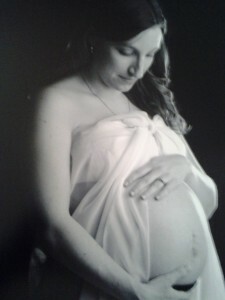 Here is a photo Diana took of herself at 40 weeks pregnant with baby #1. Little did she know she would be pregnant for TWO more weeks before her daughter made her appearance. And I guess I will share one from each of my pregnancies….I admit I kind of miss being pregnant…. 28 weeks with baby #2. My hubby took this one at home while we were just goofing around with the camera. 28 weeks with baby #3. 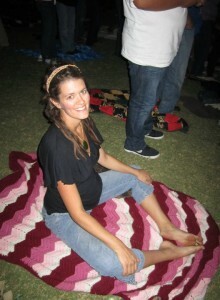 I was at a concert and taking a break to stretch from all the dancing! 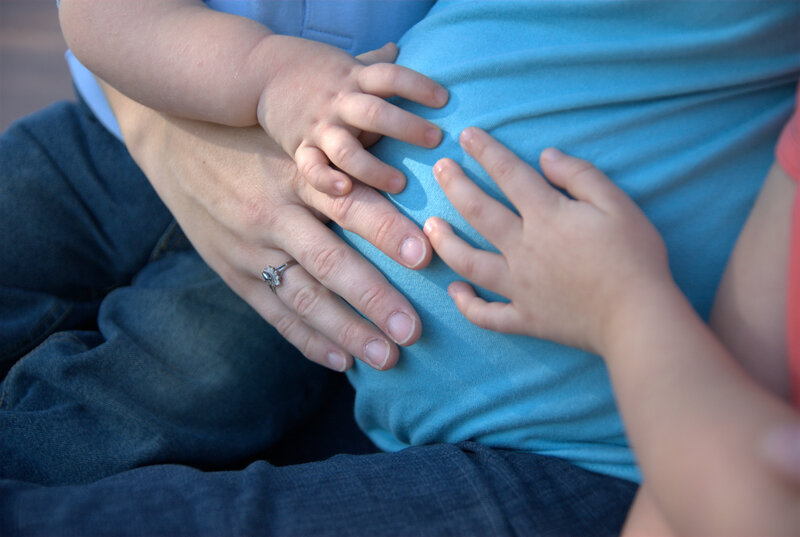 A BIG thank you to everyone for sharing your baby bump photos with us! This week’s winner of 25 Milk Miles is…Kendra! Congrats Kendra. Ready for next week’s Fan Photo Friday assignment? I was drawing a blank for a topic so I asked my 5 year old what readers should send me photos of. He suggested a “horse”. So using his suggestion as inspiration, next week’s Fan Photo Friday is Furbabies! After all our furbabies are important family members and often times are the first “babies” we care for. 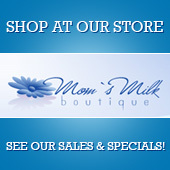 Please send a favorite photo of your furbaby to sarah@momsmilkboutique.com by midnight CST on Thursday, July 26. Please include any information you would like included with the photo such as pet’s name and signifigance of photo. I am curious what unique kinds of pets some of you might have…any snakes or ferrets among us? We shall see on Friday, July 27!